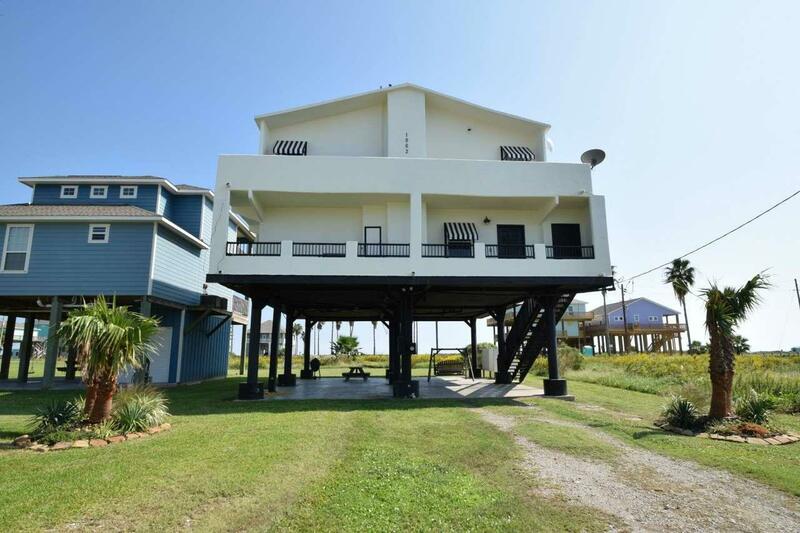 One-of-a-kind house in middle of Crystal Beach! Total concrete construction sits on round metal pilings. Built to last!! 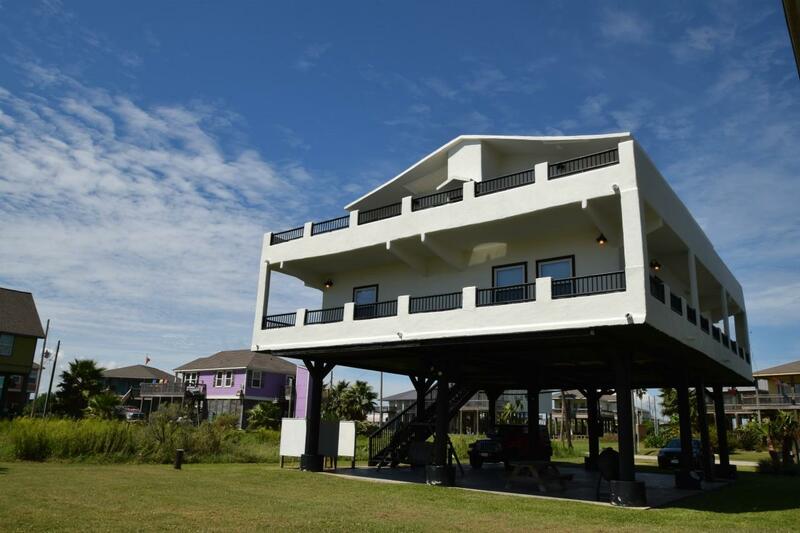 Nothing will move this house! 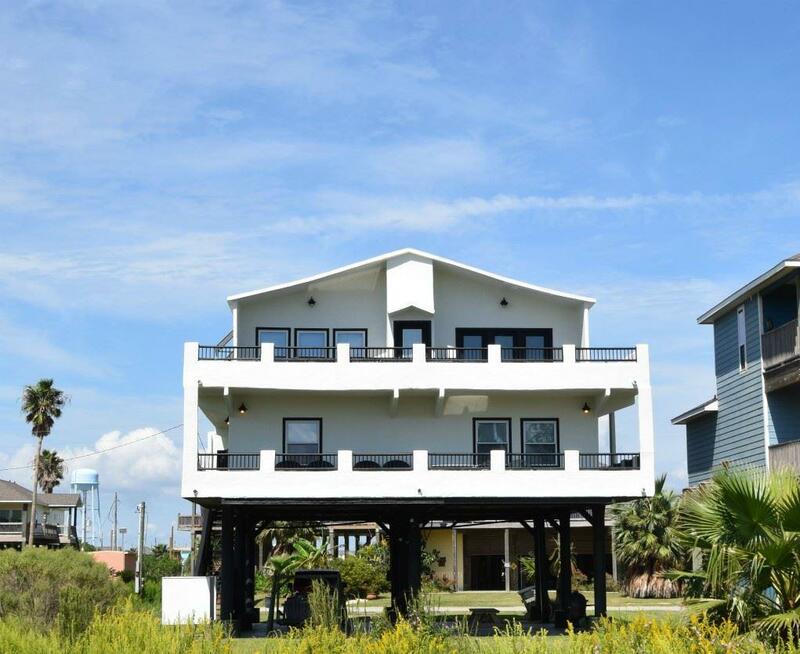 On two levels, bedrooms on first floor & living area on second floor for great views to the beach!! 3 bedrooms each with own bath. Half bath on second floor. Slate tile floors throughout for hard wear & easy cleaning. Huge open plan living/dining/kitchen area on top floor. Great for gatherings and entertaining. Loads of storage space. Huge utility room. 2 AC units. Great patio area. Come and see! On File Photos Plat Map Wind Storm Cert. 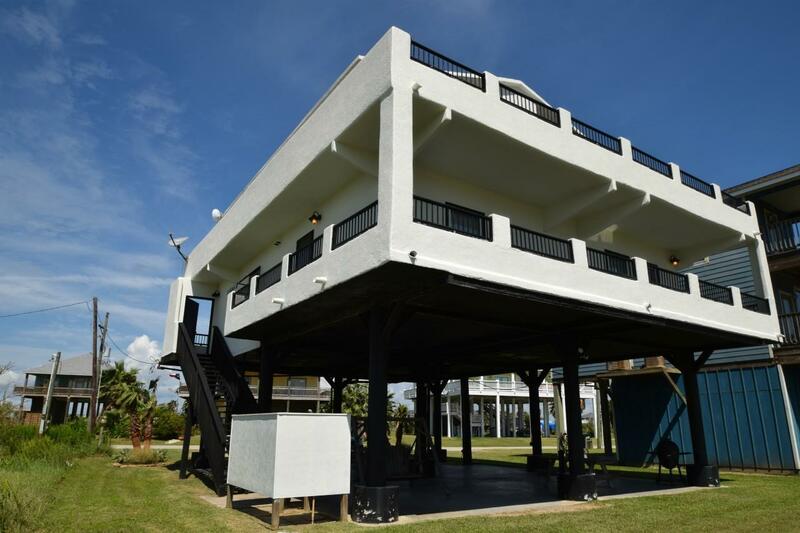 Listing provided courtesy of Neil Spiller of Re/Max On The Water - Bolivar -- 388056.